This post is part of a series. Click here to read the previous post. As explained earlier in the previous post, our review is strictly based on the Android platform. The main reason for this is because of the fact that there are far more contenders on this platform than any other. Apple has a monopoly over IOS and Windows phones are – at the moment at least – mostly irrelevant in terms of market share. Notable Hardware features: Quad Core Processor, 5.1″ screen, 2GB RAM, 16GB ROM (expandable with SD Card), 2800mAh battery. Power Jack position: Bottom, covered by water proof flap. 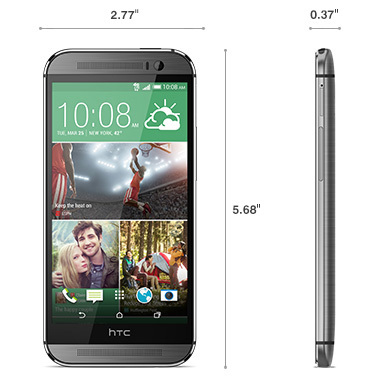 This is a feature packed phone that is an upgrade on the older S4. Features like water proof and finger print reader features are certainly nice to haves but also come with caveats and tradeoffs in usability issues. Pro: Snappy and responsive, the phone is jam packed with features like knock-on (tap the screen twice to turn on the device, tap once to turn it off). The Air gestures and other features that utilize the camera functions such as turning on the device by simply approaching it etc. gives this phone an edge when it comes to showcasing technology. The showcasing of technology goes a bit overboard when it comes to the camera however, and the camera’s responsiveness still leaves much to be desired. Cons: The power button being on the opposite side of the volume rocker seems to be a function that Samsung is fighting to keep. Users across the board have complained about accidentally turning off the screen when trying to adjust the phone’s volume. This is simply poor design and a lack of proper R&D. The fingerprint function does not work all the time like the one on the Apple iPhone. Few misreads every now and then are enough to cause the user to decide to bypass the feature altogether. The flimsy plastic flap that covers the micro USB port is annoying and the phone constantly gives warning regarding the phone not being water proof if the flap is not properly secured (although this can be disabled). The Air gestures and other features that utilize the camera functions such as turning on the device by simply approaching it are more novelties that drain battery life than real deal breakers or innovations that make a difference in user experience. The headphone jack being at the top of the phone means that the user must place the phone in their pocket with the top of the phone pointing upwards. This is again a poor design in our opinion. The user would have to remove the phone and adjust its orientation before being able to use it. Our verdict: Not the most user friendly phone. The back button on this phone is on the opposite direction (right hand side) compared to all other Android phones not made by Samsung. Great for creating customer loyalty when the user’s first device is a Samsung, but a poor choice for trying to win over new users. We give this phone an overall score of 3/5. Notable Hardware features: Quad Core Processor, 5.7″ screen, 3GB RAM, 32GB ROM (expandable with SD Card), 3220mAh battery. This phone is certainly more than a glorified S series Samsung phone. The stylus on the phone makes it a stand out and on a class of its own. For users who are in the creative/artistic space, the search practically ends right here. There’s not another phone out there that has an integrated stylus, let alone one with so many features. The 3GB of RAM makes the operating system runs extremely smoothly and overall the interface experience is a joy. 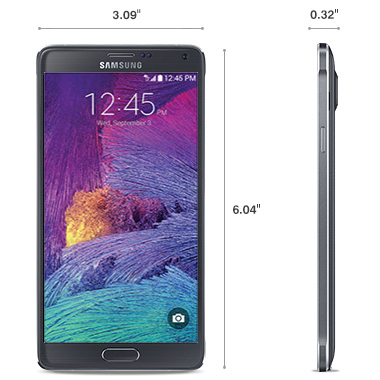 Almost all users of the Note4 love its large screen and the stylus that comes with it. 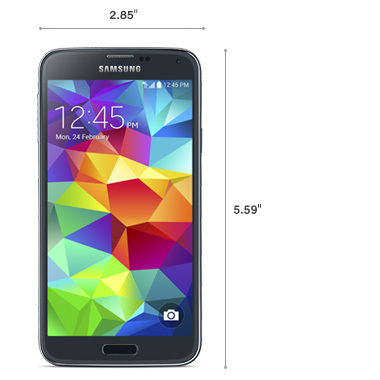 Pro: Bigger, Faster, and a better camera than the S5. That seems to be the selling point of the Note4. Oh and let’s not forget the stylus with the impressive air commands! Cons: This is pretty much a copy paste from the S5, which is a great disappointment for us. The power button being on the opposite side of the volume rocker seems to be a function that Samsung is fighting to keep. Users across the board have complained about accidentally turning off the screen when trying to adjust the phone’s volume. This is simply poor design and a lack of proper R&D. The fingerprint function does not work all the time like the one on the Apple iPhone. Few misreads every now and then are enough to cause the user to want to bypass the feature altogether. The Air gestures and other features that utilize the camera functions such as turning on the device by simply approaching it are more novelties that drain battery life than real deal breakers or innovations that make a difference in user experience. The headphone jack being at the top of the phone means that the user must place the phone in their pocket with the top of the phone pointing upwards. This is again a poor design in our opinion. The user would have to remove the phone and adjust the orientation of the already cumbersome phone before being able to use it. Our verdict: We want to give this phone a 4/5 but we just can’t. The stylus and more RAM and standard ROM space are certainly an upgrade and the 5.7″ screen is brilliant and a pleasure for viewing documents. Unfortunately the poor layout of the controls and jacks as well as the lack of the knock on that comes standard with other phones means we can only give this phone an overall score of 3.5/5. Notable Hardware features: Quad Core Processor, 5.5″ screen, 3GB RAM, 32GB ROM (expandable with SD Card), 3000mAh battery. While the big smartphone news and launch parties have been around Apple and Samsung, LG has clearly made a niche for itself. With the design of the G3, LG has certainly taken Samsung to school when it comes to proper R&D and designing a product with the user in mind, in our opinion. Pro: This phone has everything you can ever need for the business, except a stylus. Reliable Knock On, placement of power and volume buttons on the back of the phone in a recessed area makes perfect sense it is almost a crime that no one else has thought about it. The phone is extremely configurable, even the soft buttons and their placements are configurable. It also includes a dedicated button that can be added to the soft buttons row to display notifications without the need to swipe down from the top of the screen. The phone even has quick access tool bar in the notification that is a dedicated remote control that you can configure to work with your TV or home theater system. All this right out of the box with no additional upgrades or apps required left us speechless. 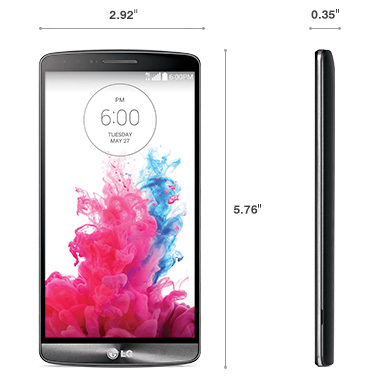 The 5.5″ screen is a decent size that allows for significantly better viewing of documents than the S5’s 5.1″ screen. Calculator, calendar, email, browser, and a few other apps open as a window, allowing you to quickly multi task. All at the touch of a dedicated button that can be added to the soft buttons row. Cons: No fingerprint or water proof features. Lack of stylus that the Note4 offers. Our Verdict: This phone takes the concept of customer-centric to the next level. An absolute pleasure to use with decent camera. We give this phone the overall score of 4/5. Notable Hardware features: Quad Core Processor, 5.0″ screen, 2GB RAM, 32GB ROM (expandable with SD Card), 2800mAh battery. This is the oldest flagship phone in our review. It is certainly up for a refresh although it still packs a punch and has certain features that would give even the Note4 run for the money. Pro: Standard knock on feature, uncluttered notification with a separate tab for settings was very innovative and still is very relevant. Speakers facing the front and headphone jack located at the bottom of the phone shows that HTC was certainly thinking about its customers when designing its flagship phone. Cons: This is the oldest model of all phones reviewed so the screen size and non removable battery specs are unfortunately very 2013. Mediocre camera performance. Our Verdict: we give this aging phone a 2/5 for its solid specs and usability in a business environment. So what is a business solution provider doing reviewing phones on its blog you might ask. The answer to this question will be answered in our upcoming blog post. Stay tuned. Questions and comments are always welcomed. Posted on November 16, 2014 by encure	• This entry was posted in Hardware and tagged best smartphone, business phone review, htc one m8, LG G3, note4, review, s5, smartphone. Bookmark the permalink.